Rique Karmazin, 66, Dies From Injuries In Car Accident In PB County | Schuler, Halvorson, Weisser, Zoeller & Overbeck P.A. 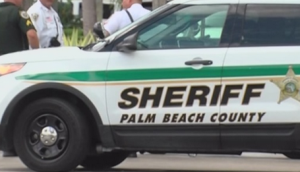 A 66-year-old Delray Beach woman died after being injured in a car crash, the Palm Beach County Sheriff’s Office reported. The woman, identified as Rique Karmazin, died at Delray Medical Center hours after a crash at Atlantic Avenue and El Clair Ranch Road west of the city limits, authorities say. Karmazin was driving north on El Clair Ranch when a westbound 2014 Kia Optima ran a red light and struck Karmazin’s 2018 Honda SUV on the passenger side, fatally injuring her. The Kia driver, a 55-year-old Delray Beach man, sustained minor injuries, the report said. First emergency responders arrived shortly after the crash happened. They then transported Rique Karmazin to Delray Beach Medical Center with serious injuries. Karmazin died shortly after her arrival at the hospital as a result of the injuries sustained from the violent crash. It is unknown whether drugs or alcohol are a factor in the crash, authorities said. The sheriff’s report does not indicate whether any charges are pending. However, the cause of the crash remains under investigation. West Palm Beach personal injury attorney Jason Weisser of Schuler, Halvorson, Weisser, Zoeller and Overbeck responded to this accident. “It appears that the driver of the Kia caused this accident when he failed to stop at a red light. It is very unfortunate and our sympathies to the family of Ms. Karmazin on their tragic loss. Please be careful and obey the speed limits and traffic lights whenever you are driving a motorcycle, car, SUV or truck. This is especially true when there are children in the area. We hope that all parties involved consult with an experienced trial lawyer. If you have been injured in an accident, call my office for a free consultation to find out what are your rights”.